The mission of the Quaker Valley School District is to engage and inspire the hearts and minds of every learner every day. It is our shared vision to become a thriving community of learners in an environment that embraces a culture of thinking. Within this culture of thinking, reading is expected, valued and celebrated. During the school year, our curriculum provides opportunities for students to build their critical reading skills and develop an appreciation for reading. Summer is a time for students to continue to build upon that foundation. Whether students are reading a book, magazine, newspaper, or graphic novel, research shows that leisure reading can contribute to many important practices such as supporting reading comprehension, increasing vocabulary development, and creating self-confidence and positive attitudes towards reading. Allowing children and young adults to select their own reading material is an effective way to encourage reading, especially in the summer months. Therefore, our approach to summer reading supports student choice and opportunities for students to engage in meaningful discussions with their peers. We encourage parents and students to use the resources provided below to explore different ways to participate in reading activities during the summer months. 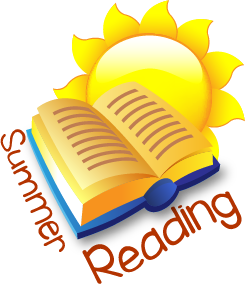 SAL - the school and public libraries of Quaker Valley, Sewickley Academy, St. James Parochial, Sewickley Public Library, and Penguin Bookshop - provided suggested summer reading lists for middle and high school students.